Midwest Carpet Cleaning Plus, Inc. If you have carpet in your house, you already know that one of the secrets to keeping it looking its best is regular vacuuming. However, when dealing with years rather than weeks or months, vacuuming just doesn't pack enough power to remove all the dirt and grit that can accumulate deep in your carpet fibers. If left for years at a time, this deep set debris will do more than just take away from your carpet's appearance! This is why hiring professional St. Louis carpet cleaners is a must for anyone looking to get the most life out of their soft flooring. No city is completely free of dirt and grime, and if you leave and re-enter your home on a regular basis, that dirt will eventually make its way into your house. In any city that experiences a mild to moderate winter, the slush you drag in on your shoes can be even more clingy! While we can take our shoes off when we enter the house, there really isn't a sure fire way to make sure your living area flooring remains completely dirt-free; in St. Louis, carpet cleaning is the most effective way to make sure that dirt is removed and cannot cause permanent damage to your flooring. When simply vacuumed, the particles of dirt that are deep inside your carpet can actually be cutting and severing your carpet fibers when you walk. This not only looks bad, it actually causes your carpets to wear faster and require replacement prematurely. However, with a minimal investment in an annual or bi-annual carpet cleaning, St. Louis homeowners can make a good carpet last longer and look better over its lifetime. There are many places where you can rent professional grade cleaning equipment, but just as buying a nice bicycle doesn't make you Lance Armstrong, renting a fancy steam cleaner doesn't necessarily mean you can do the same job as the professionals. Professional St. Louis carpet cleaners are not only equipped with the best machinery, they are well versed in how to use it. The job they do will generally be more thorough, faster, and more efficient than the results your average homeowner can achieve; additionally, professional St. Louis carpet cleaners are typically able to perform tasks that don't come along with rental equipment such as stain removal, minor repairs, and re-stretching. Before you rent equipment and do the job yourself, it is a good idea to take a quick look at how much more it would cost to hire professional carpet cleaners. St. Louis homeowners who are not particularly close to an equipment rental company factor in the price of gas to pick up and bring back a rental cleaner along with other factors like rental price, buying cleaning products, and time spent. When most homeowners add these costs together, the savings of a do-it-yourself job are simply not significant enough to justify anything but a professional cleaning! Again, when compared to the full list of DIY costs, hiring professional St. Louis carpet cleaners is pretty affordable. Obviously, if you have a 10,000 square foot home that has wall to wall carpet in every area but the bathroom, there's a good chance you'll end up with a bigger bill than most people; however, if the space you need to clean is a bit more in keeping with the average home sizes in St. Louis, carpet cleaning services are likely to cost somewhere in the neighborhood of $150 to $250, on average. Of course, many carpet cleaning companies offer specials from time to time, so when you call for service is often just as important as who you call when it comes to price. So, what time is the best time to call for carpet cleaning? St. Louis homeowners who are simply trying to get the best price will find that calling professional cleaners in the off-season typically does the trick! Fall (after the heavy in-out foot traffic that comes with summer) and spring (after the sticky winter boots go into storage) are big seasons for carpet cleaning services, so there are certainly financial benefits of calling for service during summer and winter. If you live near one of the larger universities in St. Louis, carpet cleaners are likely to run specials at the end of semesters to drum up business from relocating students anxious to get a full return on their security deposits. While off-season and end-of-semester carpet cleaning might be a bit cheaper, getting the best price on this job is also a matter of company selection. Some companies charge by the square foot; others charge by the room or by the hour. If your carpets haven't been deep cleaned for years, avoid hourly rates like the plague! On the other hand, if you have a large home that has been cleaned twice a year for as long as you can remember, you might be better off hiring a company that charges by the hour. No matter what your situation, however, know that the specific tasks needed for your situation, like minor repairs or stain removal are likely to bring the cost up. 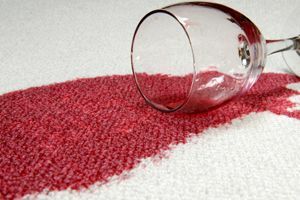 While few things can make a room look as good as a thorough carpet cleaning, few surprises are as unwelcome as a service bill that's higher than you expected! Comment: Clean the carpet in 2 rooms (1 large and 1 medium) no later than Friday at 7pm this week. Comment: There are two couches involved. One is 7 years old, the other is 3 years old. Both couches are made of microfiber. I would like to do one couch at a time, one of them first, and the other one two weeks later for budgeting reasons. Just needs a deep professional shampooing, nothing fancy. Comment: Need one cushion from patio furniture cleaned. Was run over by a car. Comment: Carpet cleaning for two bedrooms. Saint Louis Carpet Cleaning Services are rated 4.80 out of 5 based on 789 reviews of 17 pros. Not Looking for Carpet & Upholstery Cleaning Contractors in Saint Louis, MO?